Grab your yarn (scrap works great for this as you don’t need a lot of yarn) and a hook that works well with it. I usually use one or two sizes smaller than the recommended hook to get a nice, tight stitch pattern. If you use worsted weight yarn (like I did), I’d suggest using a G/4mm hook. Now stuff tightly with polyfil or similar stuffing material, then work sc2tog until you only have five or six sts left to work with, bind off, leave a bit of a tail and use it to fully close the hole. Tadaaaaa, you are done! If you want to incorporate different colors, just do color changes for stripes or patterns or do the first half in one color and the second half in another. Get creative and make them your own! 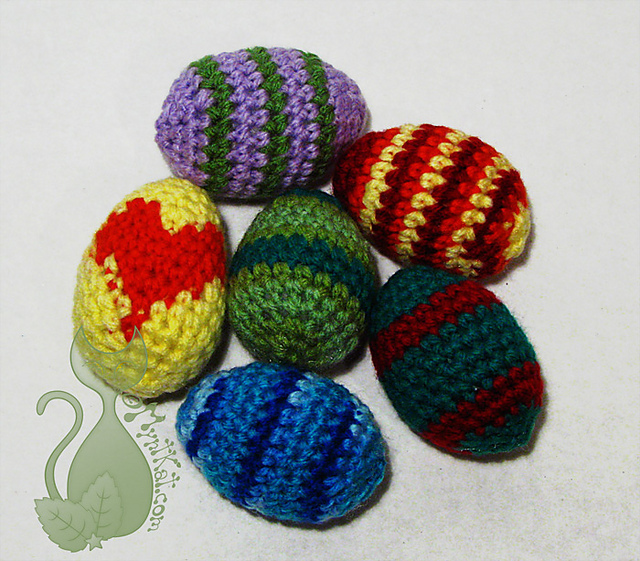 Additionally to the colorful eggs, I also made bunny egg cozies to keep them warm! 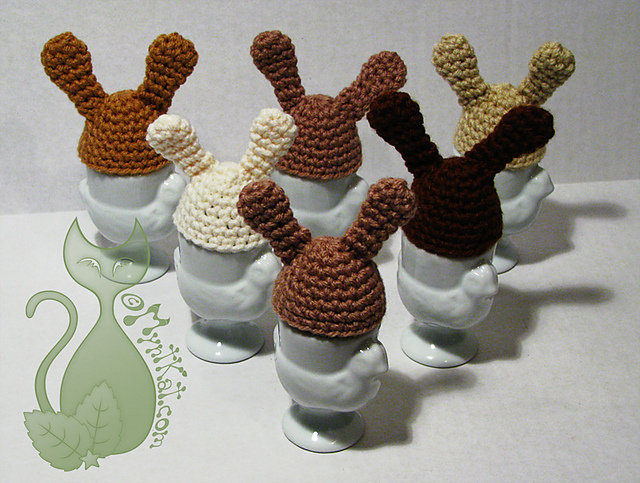 You can find the pattern for these cuties on ravelry. 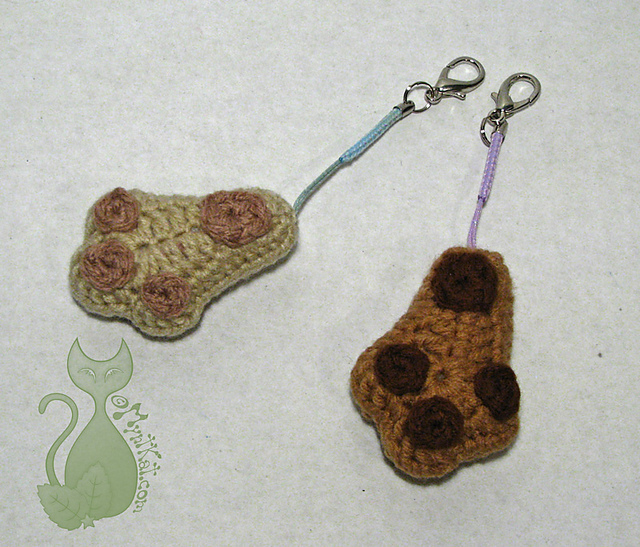 I also made animal friendly lucky rabbit’s paws! This is another easy pattern I found on ravelry, though I slightly changed the pattern to work better with worsted weight yarn. I hope you enjoy these Eastery goodies! This entry was posted in Blog, Crochet and tagged bunny, cosy, cozy, crochet, ears, easter, eggs, foot, lucky, pattern, paw, rabbit. Bookmark the permalink.